In the fall of 1853, western explorer John Charles Fremont set in search of a central railway route, accompanied by his photographer, Solomon Carvalho. Stopping months later in the snowy Wassatch Mountains of Utah--and after having produced over 300 daguerreotypes--the crew headed back to New York to prove that such a route was feasible, only to have the plates destroyed by a fire several years later. Robert Shlaer, modern master of the daguerreotype process--an exquisite, unique image process--has recreated the images produced from that expedition through the help of historical engravings and other reproductions. 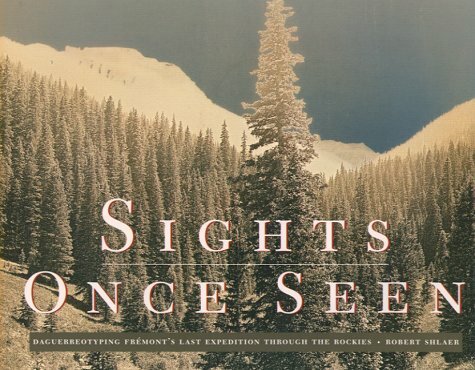 An exemplary book--thoroughly researched and beautifully reproduced--of a rephotographic survey project that brings to light one of America's lost treasures.